Something new for me. I’ve never before painted dead fish. While I’ve released ten thousand times more than I’ve kept… I do enjoy cooking the occasional shore lunch. 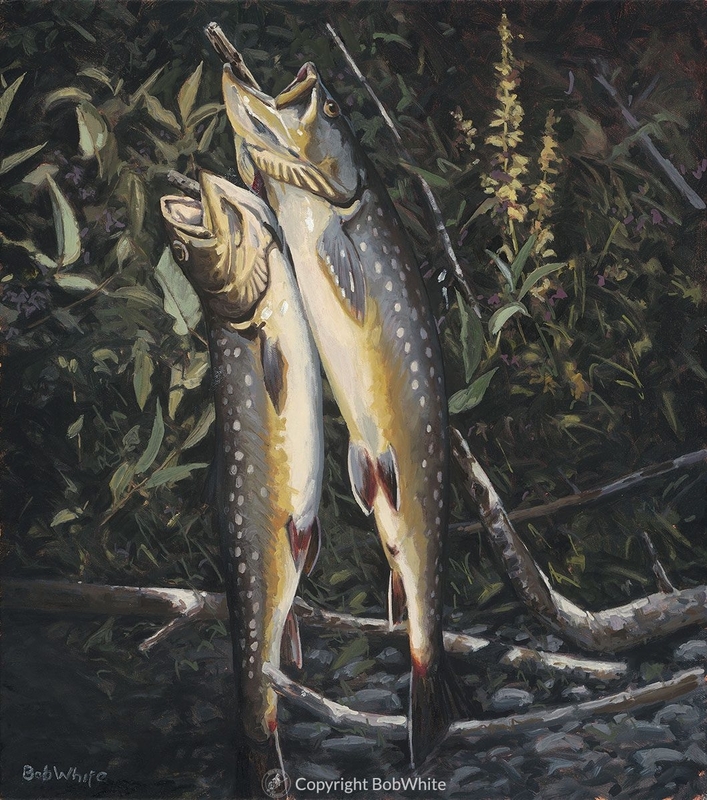 This painting was created to illustrate the “Sporting Life” column in the Summer 2015 issue of Fly Rod & Reel magazine. The oil on stretched canvas measures 16 x 18 inches. Framed.